ADDRESS: 1405 Weisenborn Road Bookmobile visit to school. This is a private school for their students and faculty only. If you do not have a library card, all you need is a picture ID and to fill out a form to get one. Items checked out from us, or our other library branches, may be returned at any time to the school library in a designated area. The bookmobile staff will try to pick up all returned items a week prior to the scheduled monthly visit. Otherwise, you may bring them with you when the bookmobile is there on its next visit. You may return items to our Savannah or Belt library branch or wait until our next visit. If you receive an overdue notice, please contact us. Items from the bookmobile are checked out for 4 weeks. 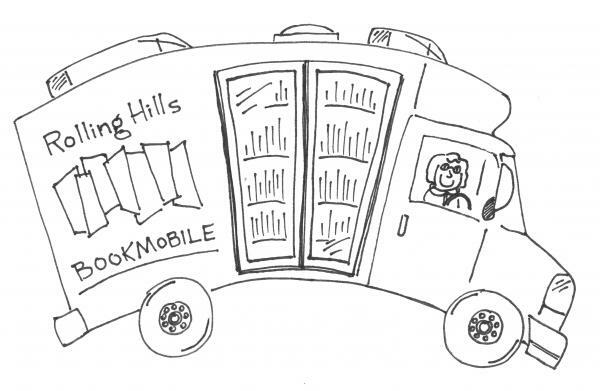 The direct line to Outreach/Bookmobile is 816-205-7100 or email bookmobile@rhcl.org. Please leave a message if we are out of the office. Our library district began in 1961 with just a bookmobile, so it was with great delight that we reinstituted bookmobile service in 2013. The response was overwhelmingly positive, and in 2018 the library purchased a new bookmobile to service the rural areas of both Andrew and Buchanan Counties. Visits are scheduled at schools, community sites, and senior care centers.